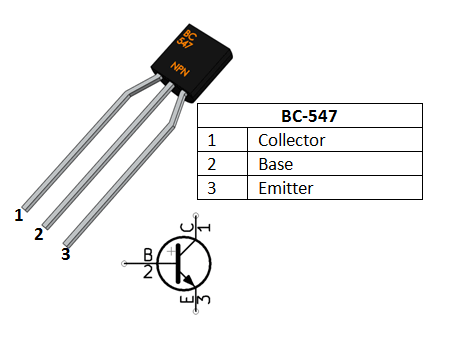 BC547 is a NPN transistor hence the collector and emitter will be left open (Reverse biased) when the base pin is held at ground and will be closed (Forward biased) when a signal is provided to base pin. BC547 has a gain value of 110 to 800, this value determines the amplification capacity of the transistor. The maximum amount of current that could flow through the Collector pin is 100mA, hence we cannot connect loads that consume more than 100mA using this transistor. To bias a transistor we have to supply current to base pin, this current (IB) should be limited to 5mA. When this transistor is fully biased then it can allow a maximum of 100mA to flow across the collector and emitter. This stage is called Saturation Region and the typical voltage allowed across the Collector-Emitter (V­CE) or Base-Emitter (VBE) could be 200 and 900 mV respectively. When base current is removed the transistor becomes fully off, this stage is called as the Cut-off Region and the Base Emitter voltage could be around 660 mV. Where, the value of VBE should be 5V for BC547 and the Base current (IB depends on the Collector current (IC). The value of IB should not exceed mA. you have linked/used a very old datasheet, then from it mixed values from A/B/C to build a perfect BC547. 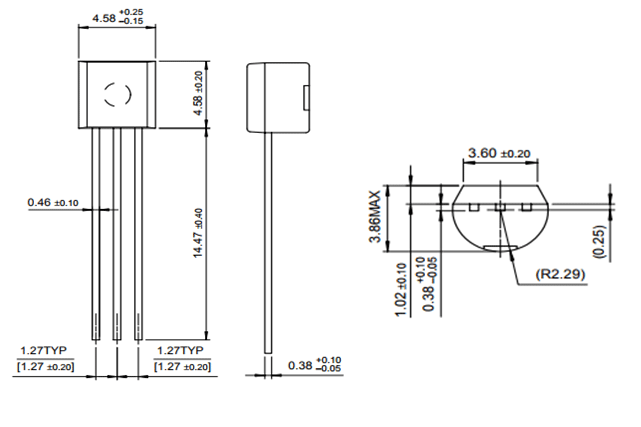 please use nominal values and respect tolerances. 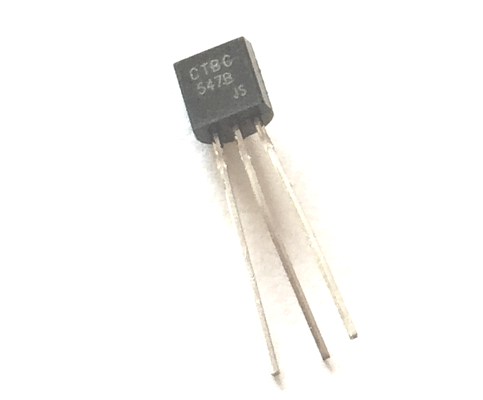 the BC547 is only a small signal transistor.